I would like to ask help to decide the reform of our network topology. I drew the relevant part of network and the 2 opportunity. We have 2pc 3850 (stack) L3 switch (Core-AB) as Designated router with OSPF routing. The area numbers 12, the dynamic networks are some 300 pieces. 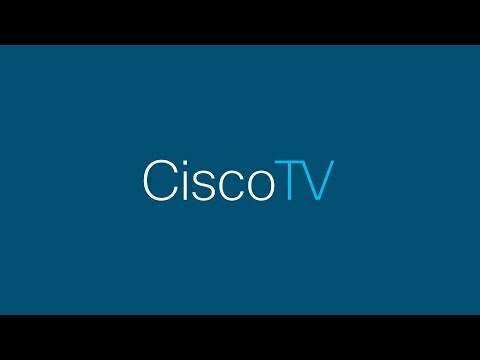 Cisco offer the 3850 is access switch not Core. Until now we don't have 10Gb switch and now we will buy 2 pieces Nexus 5548UP with L3 licences. The main goal was to link servers with 10Gbs. Current we have to use only 2x10Gb network modul in C3850. 2. Change the 3850 DR to 5548 UP and then the Nexus will be the OSPF DR and every servers with 10Gbs interface connecting in the new Core sw. The first version less and easier modification but the Nexus has much more performance. If I know the 2 Nexus (with vPC) not same as stacked C3850, so the OSPF DR task will have to do only one. In option 1, with the Nexus just being L2, all routing still has to happen at the 3850s, which could be a limitation. In option 2, the desired 10 gig connectivity is achieved and routing occurs at the same switch. Seems more efficient to me. Also, when comparing 3850 stack vs Nexus vPC, I'm more partial to the vPC as it provides better redundancy in that there two control planes. Each switch is independent, although they appear as one switch to the others. As far as OSPF DR is concerned, I don't think that is a huge issue. As a matter of fact, the DR for the various VLANs could be split between the two, or any way you want by setting the OSPF priority on each network. 1. Yes, that would be the way I would do it. Insert the Nexus as layer 2 and then transition it to the L3 core. I've done just that multiple times with great success. 2. If I understand you correctly I'd have the two Nexus be the DR and BDR. When doing vPC it's best if the switches mirror each other and not have one doing L3 and the other L2. It makes routing easier and offers better overall performance. Thank you the detail explanation. In case of 2. option have to do lot of physical (moving devices in other cabinet unit, assembly the network modules in 3850, cabling, etc.) and configure modification almost everywhere. In production enviroment its mean pause. I think it would be easier when in first step change the place of devices, assembly the Nexus and network modules. Configure the first version when the Nexus work as L2 sw. In this case doesn't change the Core switch but connect the Nexus not only to Core_AB but the Core_CD also as the 2. option (interface shutdown both side). An other day, other downtime could be the configuration to change end will became the Nexus core sw .
2. If the Nexus N5k_primary will be the OSPF DR than the BDR would be the N5k_secondary or its logical one switch and the Core_CD have to do the role henceforward? I agreed with other post suggested method. I am sure i were you i will be moving towards Nexus 5K with vPC deployment that is way moving forward future.